Transportation of Dangerous Goods (TDG) refers to legislation by the Canadian government to oversee the safe transport of hazardous materials. Falling under Transport Canada, and closely working with Health and Safety, Environment Canada, and more, the TDG Act and Regulations establishes safety requirements and protocols in the case of emergency. These regulations are outlined in both federal and provincial levels of legislation, which means they are specific laws for the region of Canada in which you are living or operating. Everyone who ships, receives, or transports by any means (land, air, or water) must be in compliance with the TDG Act. Products that meet the definition of a hazardous material is classified using the TDG Regulations. Various labels, symbols, or classification letter or number help to indicate what the product is and how it should be transported. The size or volume of the product being transported also requires classification. Shipping information needs to be specific and a 24-hour emergency contact phone number must be visible. 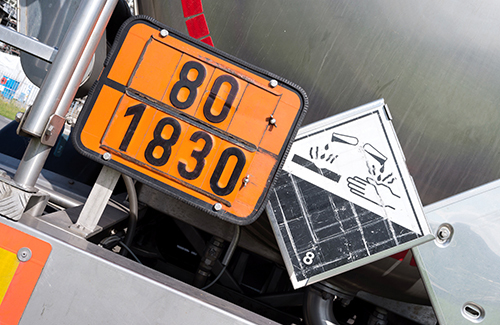 Loading protocols, including what types of substances are not compatible within the same means of transport, are also outlined in the TDG Regulations. Training employees on TDG is incredibly important as their safety, as well as the safety of the public, is at stake when handling and transporting hazardous materials. Fines and fees for noncompliance can be substantial. Just like WHMIS, it is the responsibility of employers to provide TDG training for their employees or volunteers. And just like WHMIS training, TDG training will provide education on the set of standards and regulations to do with the labelling of goods for transport, appropriate packaging and containment, handling protocols, and reporting and emergency procedures, and more. Before employees begin working with handling dangerous goods or hazardous materials, they must be able to prove that they have received TDG training. This can include having completed adequate TDG training or having received a full TDG Certification. Adequate training is considered having demonstrable knowledge of all topics listed in the TDG Regulations training requirements. Having full TDG Certification is not mandated as being required by law for all employees, only direct supervisors. But that does not remove the responsibility placed on employers to ensure that all employees must all be operating with adequate TDG training. TDG Certification is the most sure way you will be able to quickly and more definitely show that your employees have received training. There is no standard TDG Certificate or mandated program required by the government. In fact, if you are self-employed, you can then issue your own certificate and sign it. This would mean you will have the responsibilities of an employer and the responsibilities of an employee. The government provides a set of training requirements and this can be found in many places, including online on Transport Canada's website. Certification is valid for 36 months; it is also required that a record of training or certification is kept for two years after the date is it expires. A TDG Certificate is issued when training has been completed by an individual, an employer, or a training services provider. A certificate should include the trainee or employee's full name, the employer's full name and address, the date it was issued on, the expiry date, the trainee's or employee's and employer's signatures and an issuing company or training provider who can be contacted to attest to the validity of the certificate or answer questions on the training and testing process. The adequate training required can be difficult to identify individually or by an employer. The scope of the information is large and varied, and it can be challenging to be confident that you are in 100% compliance with the TDG legislation. The most effective way to ensure you are complying with what is required by law is by having a TDG Certificate from a recognized services provider. TDG training and full Certification can be completed in less than a day, especially with online courses. As a supervisor, you can schedule someone's TDG training in minutes and get a notification email when they have completed it, including a copy of their TDG Certificate of Completion. And if you are an individual looking for personal TDG training in Canada to help you get a job, or for contract or term work, you can sign up and pay online and complete the training, typically within two hours from the convenience of your home or wherever you have Internet access. After you achieve your TDG Certification, you will need to make sure you remain certified. If you change jobs, you will be required to update your TDG training to remain certified because TDG certificates are not transferable between employers. This also applies if you change job descriptions. For example, if you were driving a vehicle but now you are training to be a 'Handler' of dangerous goods, you will need to be retrained. Proof of training or TDG Certification can be requested by an Occupational Health and Safety inspector, Transport Canada, or any other regional official. If you cannot produce verifiable proof of TDG training upon request, handling of goods by that individual must cease. It is the responsibility of the employer, or the individual if you are self-employed, to produce proof of TDG training within 15 days if you receive a request in writing by anyone with jurisdiction. A TDG certificate can be issued in wallet-size and is sometimes called a TDG card. Having a TDG card makes it very easy to show as proof immediately upon request, especially if workers are mobile and are required to move from one job site to another in the course of their work. For more information about the SafeAndCertified TDG Course Click Here.